Search for 2 samples of good poster design and upload the files to your blog. Within the entry, for each, discuss the use of visual center and z pattern. Also, identify the principles of design that were utilized. 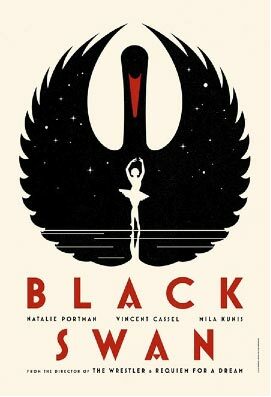 The image of the theater poster, “Black Swan” does not follow the z-pattern. My eyes, when looking at the poster, go straight to the white ballerina on a black background; the center being my focal point. Seeing as there is not any text or such above the black swan, and the pattern does not form the letter “z”, the image does not follow the z-pattern. The image below of Franz Ferdinand does indeed follow the z-pattern. My eyes directly go to the words “Franz Ferdinand” because they are red on blue and an interesting font. Upon going to the band name, my eyes go to the man in the middle with a red tie, because it is outlined in red, on a light blue background, then the red tie. Finally, my eyes go diagonally to the tour dates at the bottom of the poster. Therefore, the image follows the z-pattern. Create desktop wallpaper. Choose one tutorial from the following links to work through. Upon completion, save it as a jpeg and upload it to your blog to share! Try to work with a document size of 1680 pixels x 1050 pixels at 72 resolution. The tutorial I chose from the image tutorials was this dotted pattern, but I made it more of a slanted brush stroke pattern, since you can adjust your stroke/dot pattern settings to your liking. 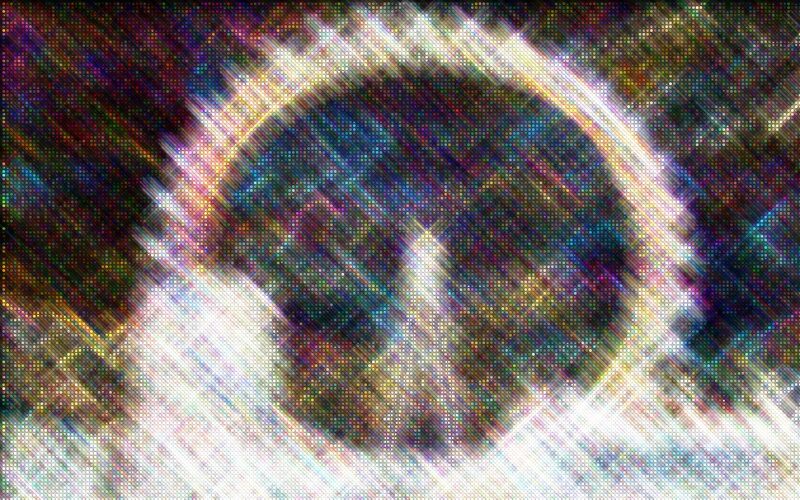 I chose the image of the famous ferris wheel, The London Eye, and sort of went from there, following the instructions given in the tutorial. Discussion: Research contemporarr graphic designer Shepard Fairey. Within your entry, include information about his education, employment, what he’s known for, etc. Upload 2 samples of his design work. Share your opinion of his design style. 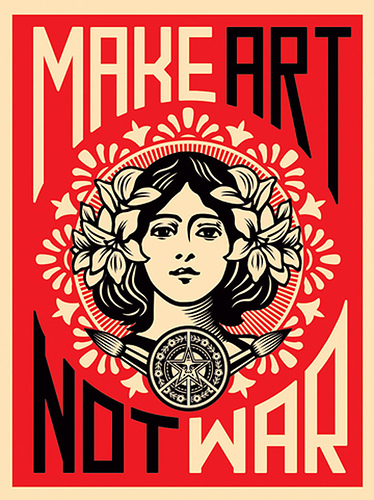 Shepard Fairey, better known for his “Obama: Hope” campaign art, is a well-known contemporary graphic designer. Fairey was born in Charleston, South Carolina in 1970. He graduated in 1988 from Idyllwild Arts Academy, and then graduated with a Bachelor of Fine Arts in illustration from the Rhode Island School of Design. In 2003, with his wife, Amanda, they founded the Studio Number One agency of design which designs movie posters and album arts and covers (Example of album cover would be the Black Eyed Peas album “Monkey Business”.) Fairey currently is on the board advisory for Reaching to Embrace the Arts non-for-profit organization that gives art to disadvantaged students and educational settings. Using the skills and techniques you learned last semester, illustrate a common phrase or idiom of your choice. Utilize Adobe Photoshop and/or Illustrator to complete your layout. Consider your audience. Within the composition, include the text of your phrase. 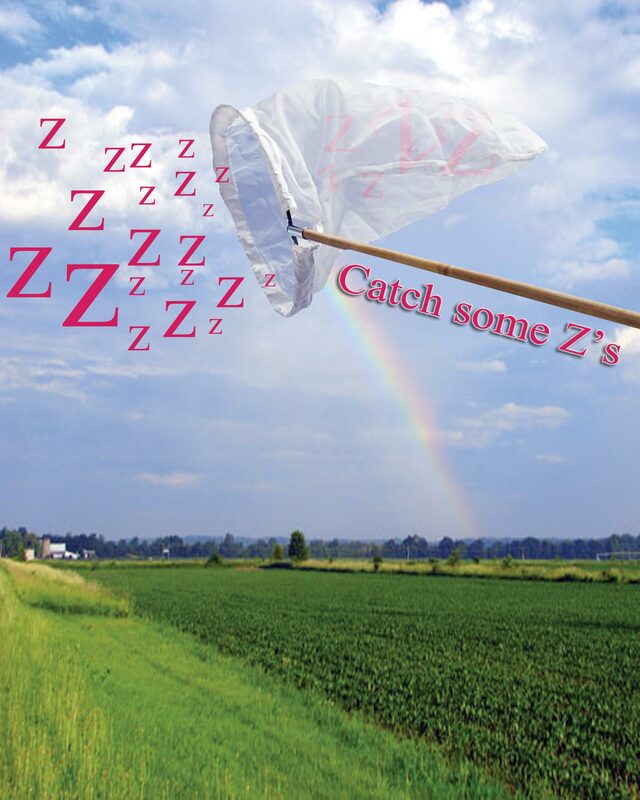 I created “Catch Some Z’s” as the idiom that I chose. You are currently browsing the Caroline Liebert's Portfolio blog archives for January, 2011.